It might be surprising to some people that the “monster” in the novel version is very much different from the monster well known in pop culture. Instead of the famously lurching, grunting and stupid brute, the novel portrays an articulate, athletic creature with so much emotional baggage. Likewise, the novel’s Frankenstein is not the stereotypical evil mad scientist he has come to represent. The novel protrays the scientist as a naievely overreaching college student who didn’t know what he was getting himself into. To me, the novel is not a straight horror story, but rather a story about the emotional dynamics between a creator and his creature. This relationship has multiple layers because it’s also a relationship betweeen a father and son, and a human and a being that has no identity in nature. 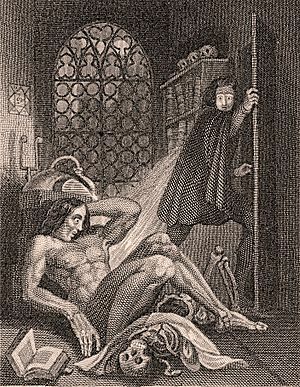 The beauty of this book lies in the ugly truth of Frankenstein’s relationship with the monster — a dysfunctional relationship, but with lots of emotional tension.